Diamond Query: A 1 Carat Oval Cut Diamond Ring for 50th Wedding Anniversary - "I just wanted to buy a 1 carat diamond ring to impress my wife for the last time." Would it be akward if I buy her a solitary engagement ring instead even though we were already married for a long time? (She is not aware of my plan) Thank you for any advice you could give! Thank you for your inquiry. I am happy to help. And congratulations on 50 years of marriage! It is very common for a woman to upgrade their engagement ring on a special anniversary. Has she received an upgrade in her engagement ring over the course of your marriage? My wife already have the round shape. I would try the other shape this time I will be considering buying a 1 carat diamond from James Allen. I like the way they show the diamons in 20X magnification. I feel confident that James Allen will have the sale in December. So, no need to worry! I hope you remember me. I promised to let you know when I am ready to buy a ring in December. It is not yet December but I already have the money and at the same time James allen is having a 25% sale on settings. Unfortunately, the sale will be over on Oct. 20, 2018 midnight. I just saw it yesterday. I am now scrambling to find the right diamond. I will send you ASAP the details of the three diamonds in my short list. (am still trying to find them). To be honest, I am not confident in my ability to select the right diamond even though I have learned a lot from your website. I guess just reading is not enough. One has to have direct experience with diamonds to be proficient in this field. 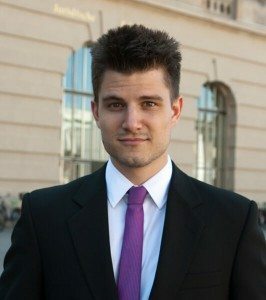 If you think the diamond I have choosen is not good, I would appreciate it very much if you could suggest to me a few of your own selections. 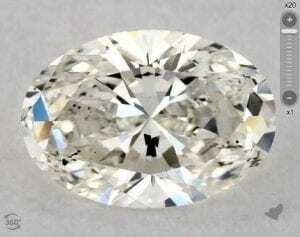 My price range for the loose Oval diamond is $2,700.00 to $3,500.00. 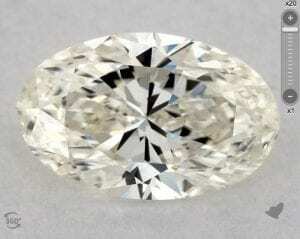 Not lower than 1.01 carat, J or K Color, Vs2 – SI2 Clarity. I am considering a simple setting. I hope you will be compensated by Jamesallen for helping me. If that will be the case, just tell me what to do when ordering the diamond ring so that the sale will be credited to you. Many thanks! It is nice to hear from you again! Welcome back! I do not see any links or diamond sku numbers in your email? Thank you for responding. I was about to send two links but unfortunately, one is already sold and the other one is no longer available. One is a 1.03c, J color, vvs2, and the other is1.04c, k, si2. Unfortunately, one is already sold and the other is no longer available. The sale will be over by tomorrow. I don't think I will have enough time to go back and try to choose the right diamond again and to wire the payment by tomorrow. My bank is also closed on weekends. I was told by ‘Jamesallen' that they are likely to have another promo in November so I think I will just wait until November. I will contact you again come November. I am sending you along with this email two links. One diamond, SKU 5850987 is no longer available and the other, SKU5968972, is still available but I am not sure if it is a wise choice. Some of the parameters are o.k. but it seems it is not eye clean. Is this still a good choice? The reason I sent these to you is to request for your opinion and comments on how I did in choosing them. Please tell me my mistakes if there are any. I want to be better educated so I can choose wisely come November. I find it hard to avoid bowties Some diamonds with less seem dull and lifeless. Finding the right diamond is sometimes hard and overwhelming. The below diamond is eye-clean with minimal bowtie. 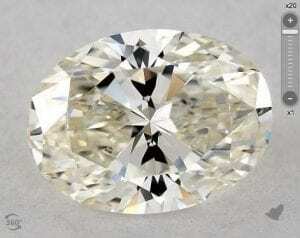 It is a high K color, which means it is whiter than other K color diamonds. It is a very nice selection. I do want to point out that the diamond has strong fluorescence, which means that it may glow blue under strong UV light and the strong fluorescence may make the diamond appear hazy. Thank you for your opinion on the diamond. If you think this is already a good choice, I am thinking of buying it now. I still have few hours left. But I have mixed feelings at the moment. I am not comfortable buying in a rush, but if I wait till next month, the diamond may not be available anymore. If you could recommend another diamond with same characteristics or better but with medium fluorescence, it could help my decision making. Also, if I am going to buy today, shall I do the buying from your website so you can benefit on the sale? I am considering buying a simple setting together with the wedding band. I hope you can send me your recommended diamond with medium fluorescence. I did not end up buying the diamond. There was no much time left. They extended the sale till the 29th of October. This time, I could perhaps do the buying. Maybe tomorrow I will send you two or three links to compare. I noticed they have new diamonds on their list. The first diamond that has a strong flourescence is still under consideration. You mentioned that the diamond can be hazy under the light. I hope they will revert back to normal appearance once the light is removed. Do they exhibit other colors other than blue? I prefer blue. Blue fluorescence is the most common. Sometimes there is red/ orange. The potential haziness from fluorescence should not be as noticeable when not under strong UV light. I tried to find another diamond to include in my short list but I end up as usual a bit confused and overwhelmed. It is hard to find a better diamond when the budget is limited. So I decided to just buy the diamond I sent to you for inspection (SKU: 5968972). 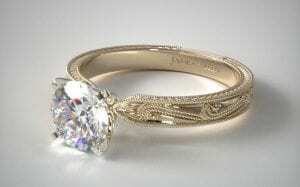 If you could remember, I sent you the link for my prospective setting and wedding band. What do you think of my choice? I noticed the prongs of the setting was white. Maybe it is white gold. Will that affect my K color diamond? 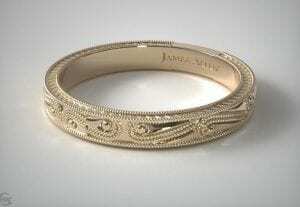 The setting will be 18K yellow gold. I am choosing 14K for the band. By the way, I noticed they increased the price of the setting and band as compared to last week sale. Now that I am ready to buy the diamond, is there anything you want me to do or advise before I contact the store? I did my own search for you and I found this diamond, which is a much higher clarity grade and it has no fluorescence. Does this one fit into your budget? Regarding the rings. You can't have one ring be 14K and the other one be 18K yellow gold. The reason being is, the 18K will be much more yellow than the 14K. They won't match. Also, ask James Allen to make the rings with yellow gold prongs. I missed your last email regarding the diamond you searched for me. I already ordered the diamond with fluorescence. The diamond you searched for me is a lot better than the one I ordered and cheaper too. Fortunately, I have not wired the payment yet. I contacted Jamesallen and made some changes on my order. I replaced the diamond with the one you searched for me. I changed the 14K wedding band to 18K as per your advice to match the engagement ring. I also requested that the white prongs be replaced with gold. All in all, the order reflects your suggestions and advice. I wired the payment yesterday. I would like to thank you very much for all your advice and assistance.